Excellent service provided by Maria Flores and staff at Toyota of Hollywood. They're always improving their products and services. A streamlined experience with a smile. Thank you! I bought my 2018 Toyota Camry at this dealer last year and keep coming here for my service needs. Yesenia Betancourt is professional and courteous and always helpful with service consultation and scheduling. Let me start by saying I had the best experience ever! My sales agent was Alexa, she was awesome. I live in Palmdale and I did not want to do business with the Toyota near my home. I was going do a Trade in. I did not owe much on my old car and I was asking to get a certain amount for my old car. Alexa went above and beyond for me. I sent pictures of my vehicle through text. I did not have to drive all the way down to get an estimate for my old car. I was going to purchase a new 2019 Camry XSE. Alexa did the estimate of the trade in, gave me exactly what I was asking for on my old vehicle. Alexa also sent me an estimate payment with my credit score. She worked with me through text and phone calls. I did not have to miss work or take time driving down there. Once all the paper work was ready I drove down signed for my new vehicle and the trade in. It was a quick and easy process! I even got the payment I was looking for. 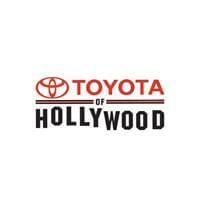 I'm very happy with Toyota of Hollywood! So I wanted to wait a few months to really see what I was getting when I bought a used car here. I can tell you now, it's been GREAT! I purchased a used 2005 Jetta from Ali and from start to finish they took care of me. A week into owning the car, a sensor went bad causing a misfire. I freaked out and brought it back. Now while they did do a great inspection of the car, some things, especially on an older car, simply cannot be found until they go bad. What separates this dealership from others is that they backed up the sale and fixed it for free even after a month of owning the car. Not only that but for the few days being without a car, they gave me another full tank of gas and car wash. The day I brought it in, they even drove me to work. Ray, that's manager, is a no games type of guy. Told me he takes care of his customers and he really did. Now that the small sensor is replaced, this car, which I bought with super low mileage, has been great. They really do take care of their customers and back up their sales. Anyone can smile and take your money but how they help you after the fact really goes a long way. Ali is as friendly as they come, and always made me feel confident in my purchase. He was there every time I called and always made time for me. He walked me through the service with Ray and both made me feel like I wasn't alone in buying a used car. Now that's service. If you're looking for a great place to purchase a vehicle, this is it. Everyone knows Toyota's last, and I could have afforded a brand new car I would have gone Toyota in a heart beat. So if you want a top notch brand AND top notch service before during and after the sale, this is the place. Thank you Ray, Thank you Ali! So I wanted to wait a few months to really see what I was getting when I bought a used car here. I can tell you now, it’s been GREAT! I purchased a used 2005 Jetta from Ali and from start to finish they took care of me. A week into owning the car, a sensor went bad causing a misfire. I freaked out and brought it back. Now while they did do a great inspection of the car, some things, especially on an older car, simply cannot be found until they go bad. What separates this dealership from others is that they backed up the sale and fixed it for free even after a month of owning the car. Not only that but for the few days being without a car, they gave me another full tank of gas and car wash. The day I brought it in, they even drove me to work. Ray, that’s manager, is a no games type of guy. Told me he takes care of his customers and he really did. Now that the small sensor is replaced, this car, which I bought with super low mileage, has been great. They really do take care of their customers and back up their sales. Anyone can smile and take your money but how they help you after the fact really goes a long way. Ali is as friendly as they come, and always made me feel confident in my purchase. He was there every time I called and always made time for me. He walked me through the service with Ray and both made me feel like I wasn’t alone in buying a used car. Now that’s service. If you’re looking for a great place to purchase a vehicle, this is it. Everyone knows Toyota’s last, and I could have afforded a brand new car I would have gone Toyota in a heart beat. So if you want a top notch brand AND top notch service before during and after the sale, this is the place. Thank you Ray, Thank you Ali! Toyota of Hollywood tiene una reputación. De hecho, de todos los concesionarios Toyota en los Estados Unidos, es el que tiene la reputación más antigua. Desde 1957, año en que fuimos el primer concesionario Toyota en abrir en los Estados Unidos, atendemos con orgullo a conductores de Burbank, Glendale, Los Ángeles, Van Nuys y North Hollywood. Hoy seguimos contando con la línea completa de modelos Toyota nuevos, así como con una amplia selección de vehículos usados (que incluye vehículos Toyota usados certificados), a fin de que pueda acceder a todas las opciones posibles en el concesionario que conoce y en el que confía. Como integrantes de la familia de concesionarios LAcarGUY, nuestro equipo de ventas se enorgullece al ofrecer un excelente servicio de atención al cliente, al igual que en los tiempos en que sus padres y abuelos acudieron a nosotros en busca de automóviles. Una vez que encuentre su próximo automóvil nuevo o usado en Toyota of Hollywood, un integrante de nuestro equipo de finanzas se reunirá con usted para encontrar el financiamiento más asequible; incluso puede completar la solicitud de financiamiento segura en línea para comenzar. Responderemos a todas sus preguntas de modo que comprenda cabalmente los términos de su préstamo o contrato de leasing antes de llevarse el automóvil. Toyota of Hollywood cuenta también con un moderno centro de servicio atendido por técnicos capacitados por Toyota, quienes cuidarán y repararán su vehículo para que funcione con seguridad durante muchos años. Nos encargaremos de todo, desde el cambio de aceite hasta las reparaciones más importantes del motor, y nos esforzaremos al máximo para que pueda tomar el volante lo antes posible. Visite Toyota of Hollywood y vea por qué los conductores nos han elegido durante más de medio siglo. Estamos convenientemente ubicados en 6000 Hollywood Blvd, a corta distancia de Burbank, Van Nuys, Los Ángeles, Glendale y North Hollywood. Comuníquese con nosotros en línea para obtener más información sobre nuestro inventario o para coordinar una prueba de manejo.